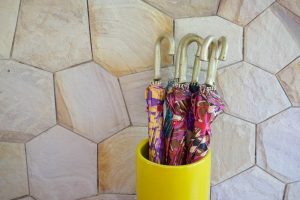 So you’re thinking of buying an umbrella for your outdoor table or patio, your choice is between the two options: a patio table umbrella or an offset patio umbrella. Both are great at providing you with shade, however they vary in their use and style. Table umbrellas, obviously, are placed on the table, which means that they occupy space. 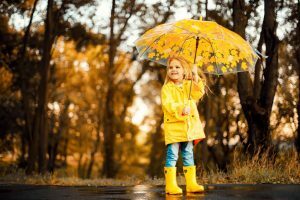 On the other hand, offset umbrellas stand beside your table, saving your table space, however they are invariably bulkier and heavier than a table umbrella due to their design. 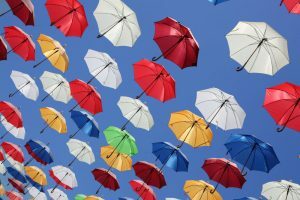 At The London Umbrella Seller, we’ve been researching umbrellas for years, we know what’s needed to create a great umbrella as we’ve been designing and testing them since we began. This means knowledge means we can recommend the best to you, making your life so much easier! 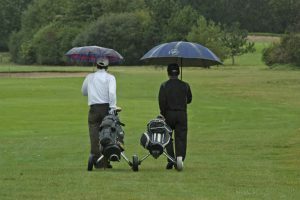 In this article, we have reviewed the five top options for both types of umbrella to make your choice very easy indeed. 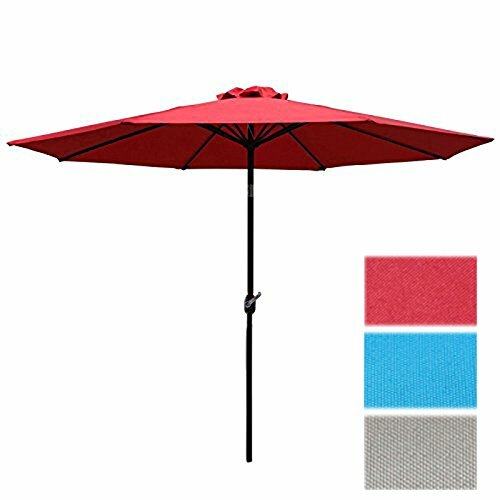 Available in 11 different color and design variations, this nine-foot-wide outdoor patio umbrella is the perfect option to provide you with a large area of shade. 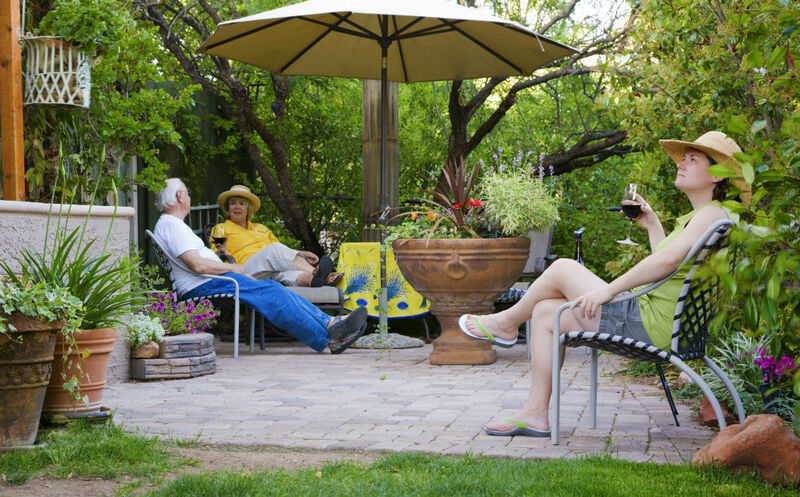 Abba Patio is an established U.S.-based outdoor brand that is known for its high-quality outdoor and patio products including outdoor umbrellas. 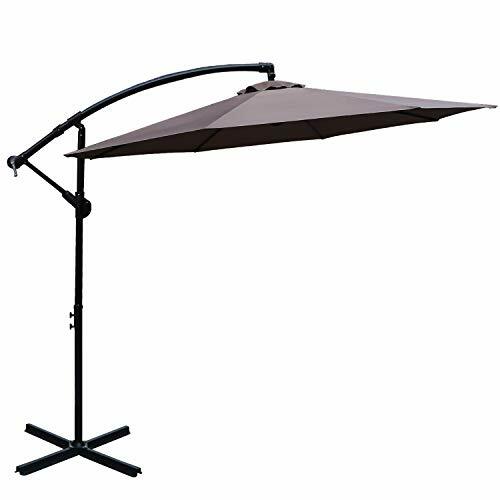 This umbrella can create ample shade for 42-inch to 54-inch round tables, including four to six people sitting around it! The canopy is vented which allows for enhanced air flow which regulates gusts and holds the canopy firm. The high-quality aluminum pole, UV protection polyester, and waterproof material make it both sturdy and strong. 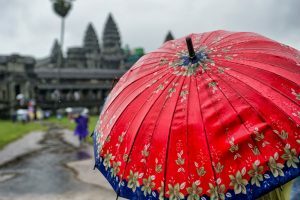 Available in “market” umbrella style and round shape, the fabric is also fade-resistant, so you can rely on it to keep its color intact for years to come. The 1.5-inch-wide pole is also coated with a rust-free powder, while the ribs are made of steel. These are two important factors which make this item stand out. 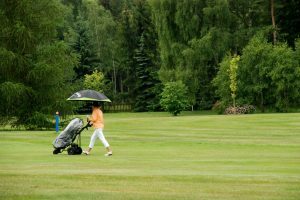 In addition, this handy table umbrella features six ribs for added strength, while the push button tilt position allows you to move it around surprisingly easily. The crank open and close system also makes it very easy to open and close. The total height of the umbrella is eight feet while the height of the pole is around 6.4 feet. When closed, you can keep it secure and in one place with a Velcro strap. The total weight of this umbrella is around 16 pounds. 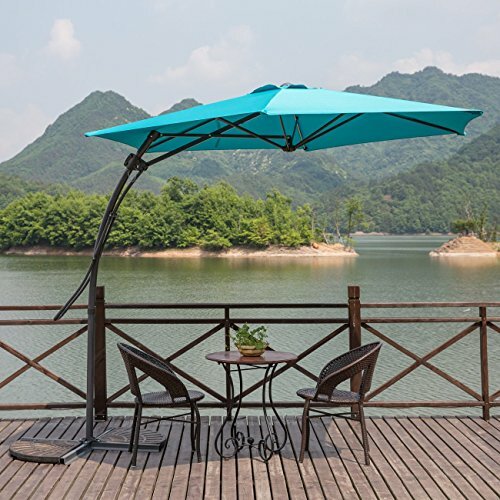 Second on our list is another nine-foot, square-shaped umbrella by MYAL, which is a China-based brand known for its premium outdoor living products. The eight-foot-high umbrella is enough to provide shade for a large table and the people sitting around it. Made of a sturdy steel pole and 180g/m2 polyester cover, you can be confident that this will last for years. The ribs and pole are coated with rust-free powder. In total, the cover is supported by the six ribs. As it also comes with a steel cross base, and has extra height, you can put it beside the table. This makes it a good option for smaller tables. The fabric is fade-resistant meaning it will stay looking great for years, additionally the fabric has a clever design that allows air to pass through it, thus giving the canopy additional stability. This umbrella features a one-push open system that makes it very easy to use when both opening and closing. Available in six different colors, you can also choose between designs with cool-look LED lights, or without. The total weight of the product is around 30 pounds, which makes it a little heavier than the norm, however this obviously gives more stability against the wind. For those who want to cover more space, this 10-foot-wide hanging umbrella by ABCCANOPY could well be the ideal option for you. Its “market” style is very modern and very stylish. This offset hanging umbrella is capable of 360-degree rotation while the crank operation makes it very easy to open and close. The frame is made of a strong steel pool, which is also coated with rust-free powder. The extra coating makes it resistant against peeling, chipping and corrosion. 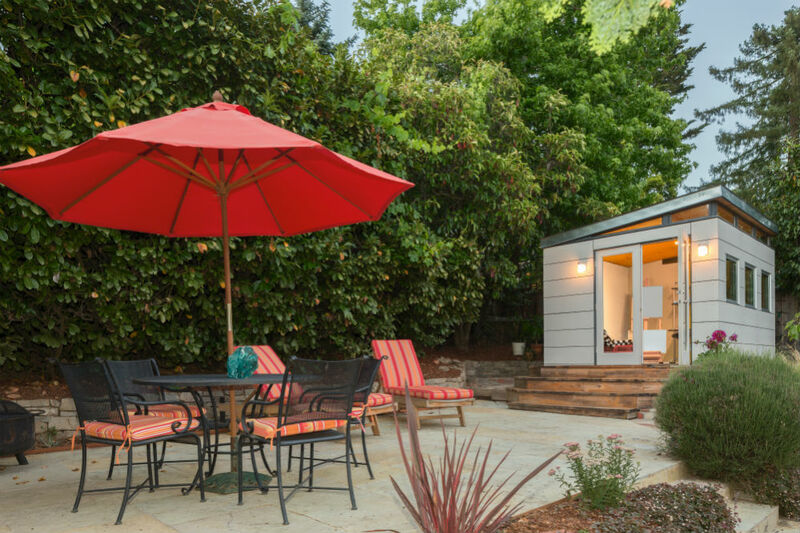 The canopy is made of strong polyester fabric that is both UV- and fade-resistant. This hanging umbrella is equipped with a heavy-duty steel base, which does a great job of keeping it stable against winds and rain. Overall, it is an offset patio umbrella that makes a long-lasting investment due to its durability. 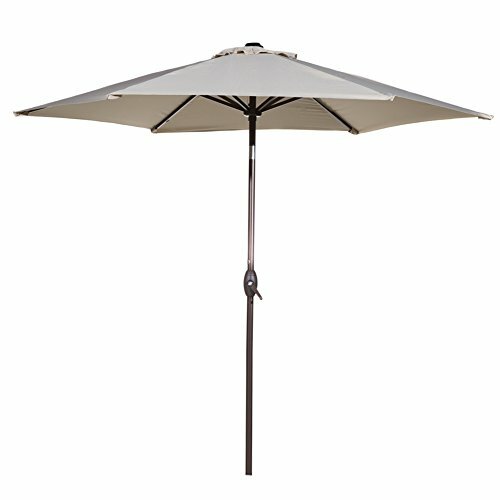 This patio table umbrella from Sunnyline is another quality option for your garden or yard. Measuring 10 feet wide in diameter, it is designed to cover a large area on and around your garden table. This umbrella can create around 60 to 70 square feet of shade! The frame is made of a high-quality aluminum pole, which makes it lightweight (at only 11 pounds) yet sturdy at the same time. Combined with six steel ribs, you can be confident that this umbrella is able to withstand strong winds. 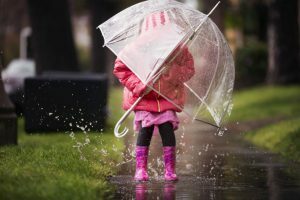 The wind vent canopy not only keeps you protected from sunlight and rain but also allows air to pass through, thus giving the umbrella additional stability as gusts are regulated. With push-button operation for both tilt and crank, it is easy to close and open this umbrella. Depending on your preference, you can choose from three different available color options. The last on our list is another nine-foot-wide umbrella that is more than eight feet in height. Its 100% polyester material cover offers great protection against UV light and rain. What’s more, it’s available in three different attractive colors. The fabric is also easy to clean, but aside from that, it is also resistant to fading, mildew and mold growth. The 40mm pole is made of aluminum that is also coated with rust-free powder. Unlike many other options that feature six ribs, this one comes with eight ribs to add extra strength to its design. 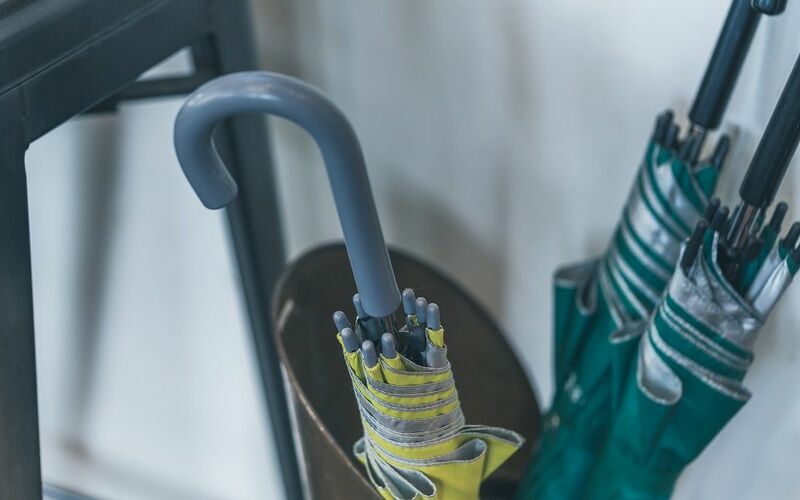 The easy-crank open function makes using this umbrella very convenient. It also has a push-button tilt mechanism to add to the ease of use. We’ve looked at five excellent umbrellas here, so which one is best for you? We would say it depends on your personal needs. Do you want a lightweight option to put on your table, or a heavier umbrella that can stand against strong winds and can stand beside your table? 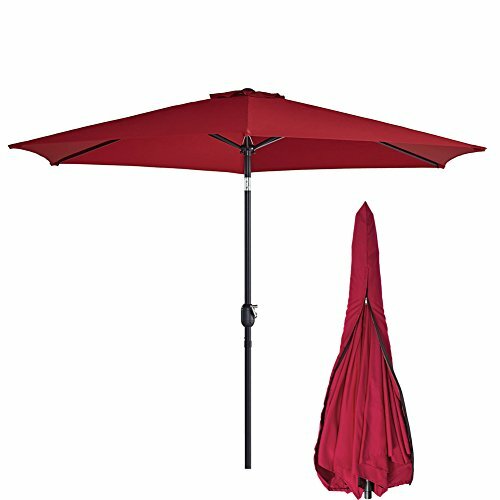 If you asked us to choose just one, we would recommend the Abba Patio Outdoor Umbrella. 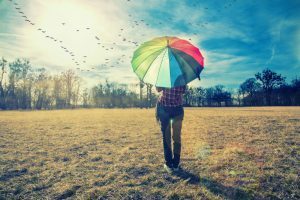 This product is an affordable, high quality, multi-purpose umbrella that comes from one of the most well-known outdoor umbrella brands in the world. Now that’s reassuring!